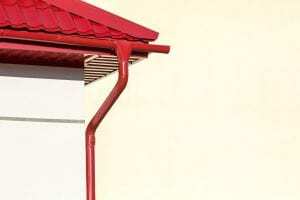 When last have you seriously thought about your gutter system? If you’re like a lot of Bowling Green homeowners, it’s probably the time you had to climb a ladder to unclog your gutters of leaves and twigs. Using a ladder can be risky, so it’s understandable if you were nervous, and if the job took a little longer than expected, we’re guessing that you have a sectional gutter system. Sectional systems come with seams and splices that tend to snag leaves and other debris, so clogs frequently occur. And with frequent clogs comes continual maintenance. But at 31-W Insulation, we can help you avoid this hassle. We offer seamless gutters and downspouts that will make clogs a rarity while protecting your home from water damage through all four seasons. For further confidence in our service, you’ll be happy to know that our gutters and downspouts come with a 20-year limited manufacturer’s warranty. Would you like to learn more about our seamless gutter systems? Contact 31-W Insulation today and let us schedule a free consultation at your home in Bowling Green.